Lenexa, Kan., and New York, N.Y. – December 1, 2015 – On Giving Tuesday, Loncar Investments and the Cancer Research Institute (CRI) announced that they have entered into an exclusive charitable partnership for the Loncar Cancer Immunotherapy ETF (ticker: CNCR). Loncar Investments will use royalties it receives as the exchange-traded fund’s index provider to donate regular contributions to CRI that amount to 2 basis points, or 0.02%, of CNCR’s total assets. Founded in 1953, the Cancer Research Institute is the world’s only non-profit organization dedicated to harnessing immunotherapy to conquer cancer. The partnership is a two-year agreement, with an option for renewal in 2017. Loncar Investments has guaranteed a minimum donation of at least $10,000 per calendar year. The Cancer Research Institute (CRI), established in 1953, is the world’s only nonprofit organization dedicated exclusively to transforming cancer patient care by advancing scientific efforts to develop new and effective immune system-based strategies to prevent, diagnose, treat, and eventually cure all cancers. Guided by a world-renowned Scientific Advisory Council that includes three Nobel laureates and 27 members of the National Academy of Sciences, CRI has invested $311 million in support of research conducted by immunologists and tumor immunologists at the world’s leading medical centers and universities, and has contributed to many of the key scientific advances that demonstrate the potential for immunotherapy to change the face of cancer treatment. To learn more, go to www.cancerresearch.org. 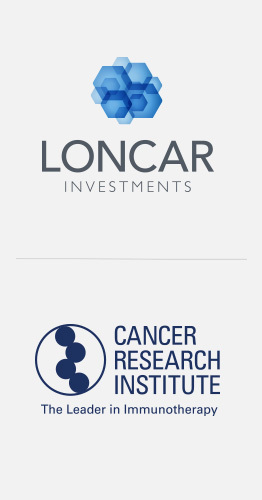 About Loncar Investments: Loncar Investments, LLC, the provider of the Loncar Immunotherapy Index, is committed to making the biotechnology space more approachable to a wider range of investors. The company is principally owned by biotech investor Brad Loncar. For more information, follow LoncarFunds on Twitter at @LoncarFunds. The funds investment objectives, risks, charges and expenses must be considered carefully before investing. The summary and statutory prospectuses contain this and other important information about the investment company, and may be obtained by calling 800.617.0004 or visiting www.loncarfunds.com. Read it carefully before investing.